Our fully licensed café sits at the heart of the Albany building. 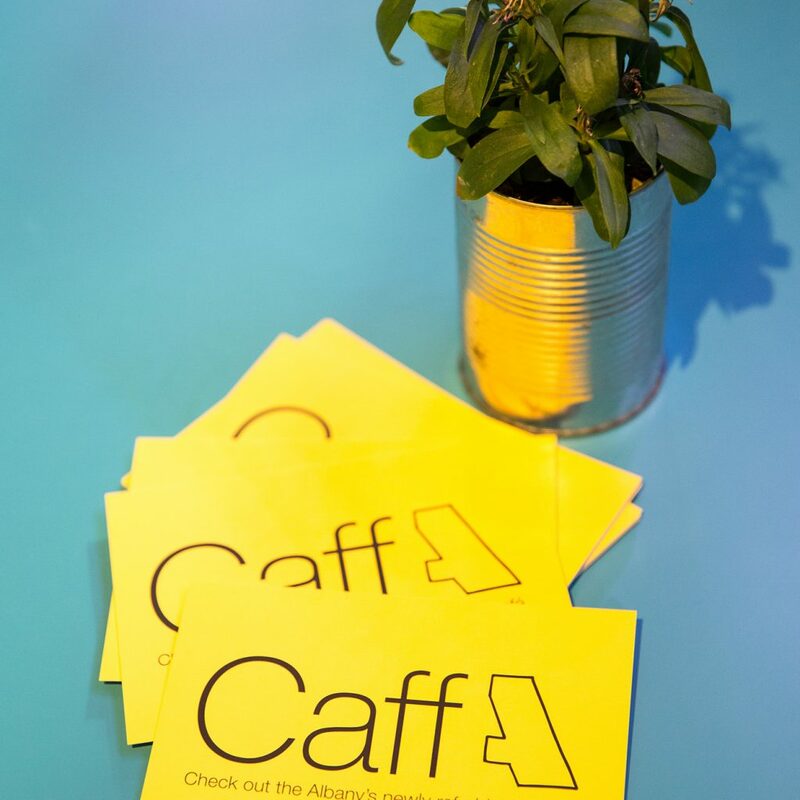 Caff A hosts regular arts activity such as Meet Me at the Albany – a weekly arts and lunch club for older people – festival events, live music, markets and more. It’s a great place to eat, drink, chat, meet friends and colleagues or just take it easy. 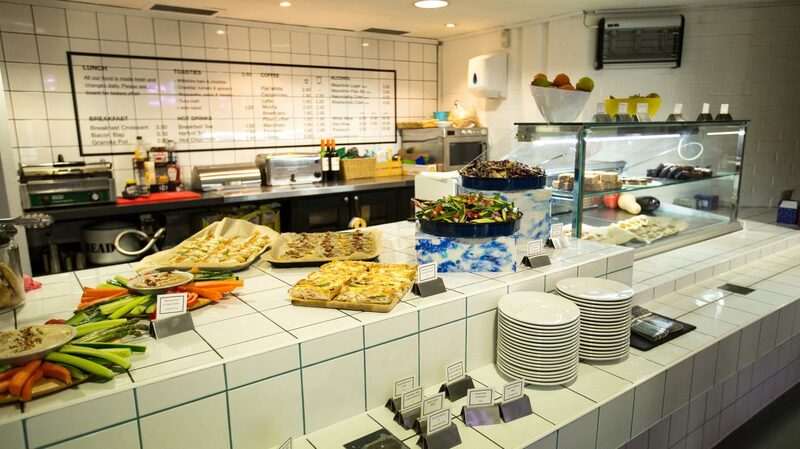 You can pop-in to enjoy a delicious breakfast, filling lunch or a light pre-show meal, drink or snack. We have free WiFi and a beautiful garden where we grow lots of the ingredients for dishes on our menu. Sundays and evenings – in line with events but for at least an hour before performances. We also have a bar within the main space which is open for lots of our events. 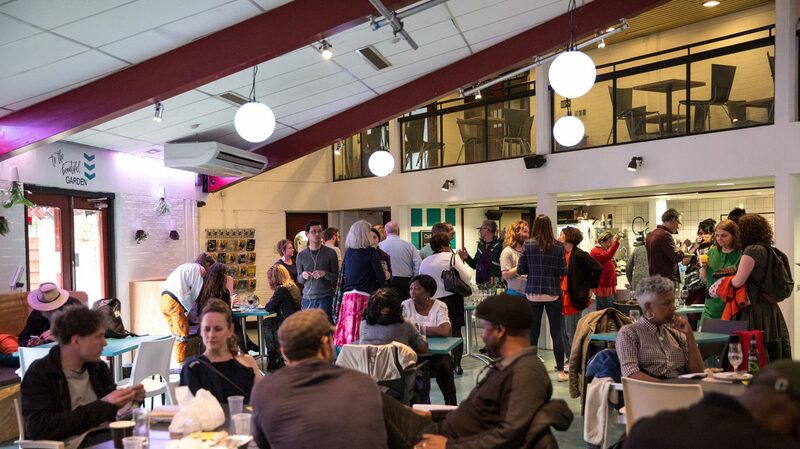 The Albany is a registered charity and all income from Caff A is reinvested into Albany shows and projects which benefit the local community. Top image: Photo Roswitha Chesher. Caff A at the Albany. Photo Roswitha Chesher. 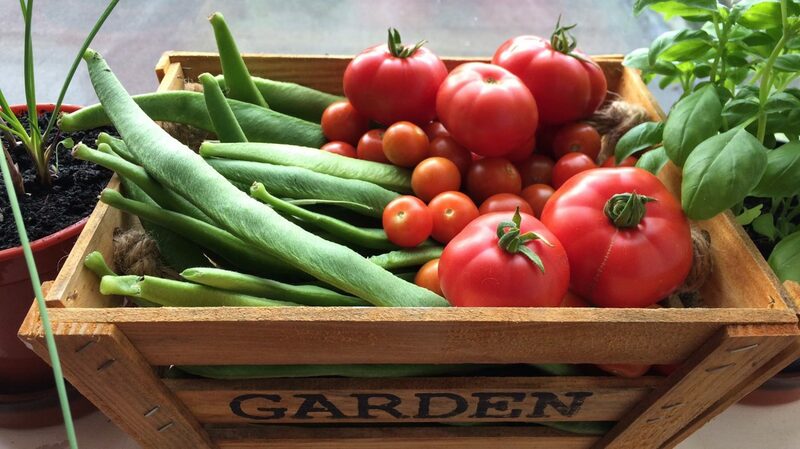 Produce from the Albany garden on sale in Caff A. 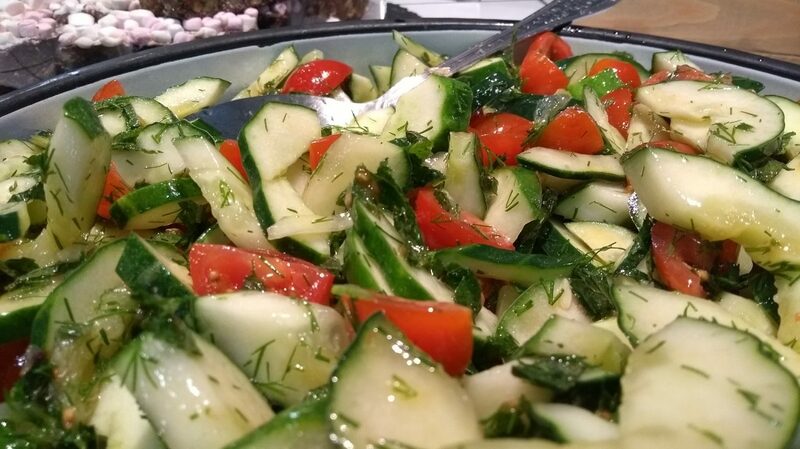 A salad made with produce from the Albany garden on sale in Caff A.